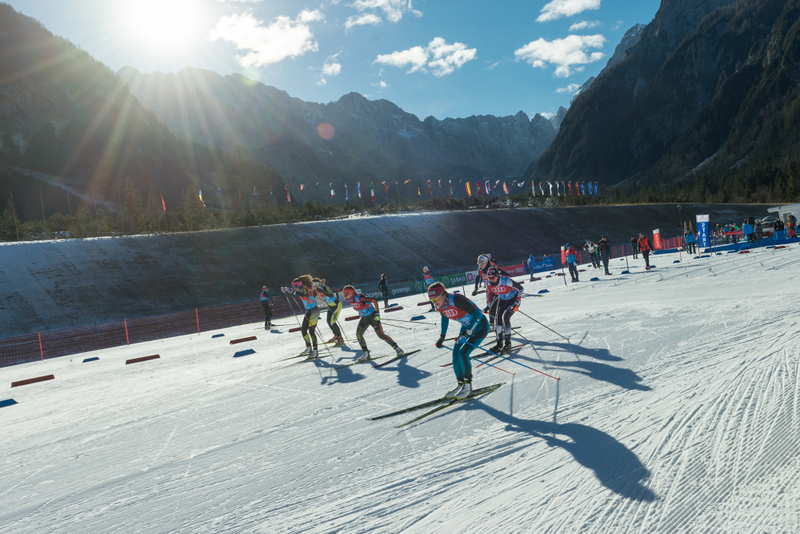 The first day of the FIS-OPA Continental Cup in Planica ended with free technique sprint victories of American athletes Sophie Caldwell and Simeon Hamilton. On the men's side Hamilton was joined on the podium by French athletes Baptiste Gros and Lucas Chanavat, while Italians Greta Laurent and Francesca Baudin made Caldwell's company. In the juniors classification Janosch Brugger of Germany took the first place in sprint and was followed by Italian Simone Dapra and Frenchman Camille Laude. German Coletta Rydzek was the best women in U20, Lena Quintin of France came in second, while the winners teammate Anna-Maria Dietze finished third. Altogether 290 competitors from 22 countries battled on the demanding track of the Nordic Center. Individual competition is scheduled for tomorrow, with action starting at 9.00. It was great, the track was awesome, really fast and in great shape. It was a little bit chilly out there but the snow was really fast, they did a great job preparing it. This venue is super cool, we've got World Cup sprint here last year and it was great to be back here. For sure it's one of my favourite venues, it's a beautiful place and a fun course to ski, so it's was a good day. I felt good today, the track wasn't that difficult. It's short but very fun because there are many curves. You always have to fight during this race, so it was very cool. It was pretty good today with nice conditions and a good fight for top three. I feel good, I've just made a small mistake in the final, I've pushed too hard too soon. The conditions were nice, especially for not having any natural snow. It's a beautiful man-made track in a pretty spectacular setting. I felt a little flat this morning but I felt better and better as the day went on. By the final I felt great and I'm happy with the race. I like the venue, we were here already last year in the World Cup. It was a good race and I hope I'll return here next year. I like this track and it was a good day. I felt really good today and I'm happy to reach the podium.